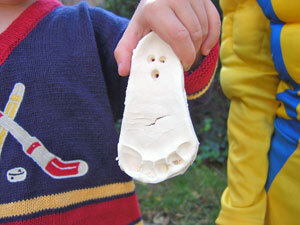 Roll into a flat disc, about 1/2 to 1/4 inch thick on the waxed paper. Carefully, have your child place his hand into the disc — not too hard — just right. 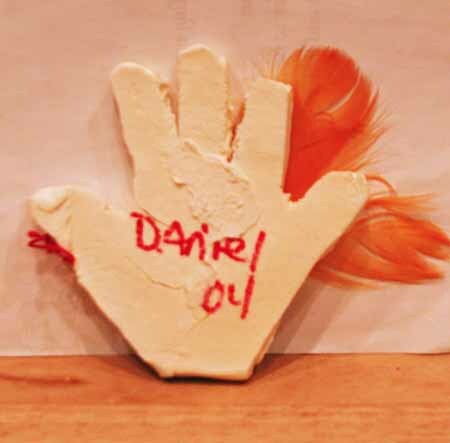 Once you have your finished handprint, carefully, use a butter knife to cleanly cut away the edges. Move cookie sheet to a high place — safe from the children — to dry for a couple of days. When dry, label the backs of your turkeys with the year and child. 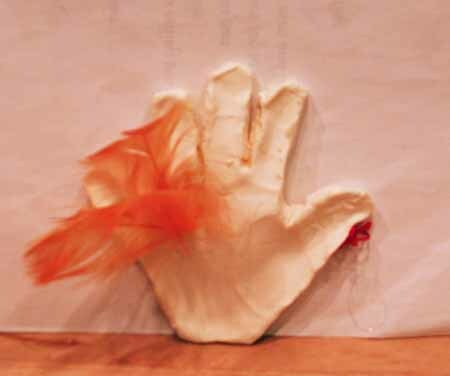 Use glue gun to put feathers and wattle in place.